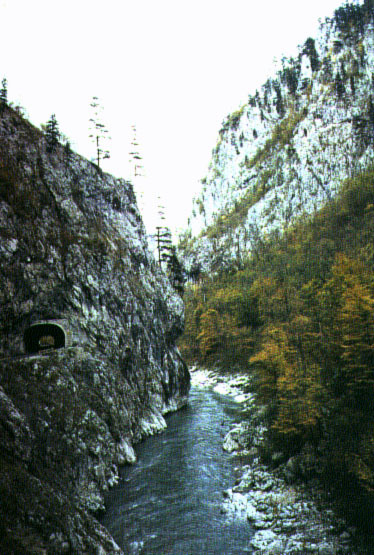 Montenegro's surface runoff in the north is carried away by the Lim and Tara river systems, which enter the Danube via the Drina River of Bosnia and Herzegovina. In southern Montenegro, streams flow toward the Adriatic. Much of the drainage of the karstic region is not on the surface but travels in underground channels. The largest lake in Yugoslavia is Lake Scutari (Skadar). Known in Montenegro as Skadarsko Jezero, it lies near the coast and extends across the international border into northern Albania. It is 25 miles long and 10 miles wide, with a total surface area of 140 square miles. 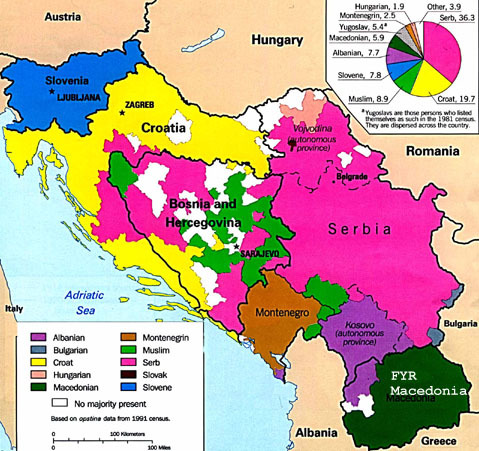 Some 60 percent lies within Montenegrin territory. The water body occupies a karstic polje depression that has a floor lying below sea level. Montenegro's mountainous regions are noted for their numerous lakes.